I was at a flea market today and the guy had Jeff Koons saucers for $5. I asked as innocently as possible "umm, you have the espresso cups that go with this?" and he was like "no, didn't know it had mugs". Ugh. 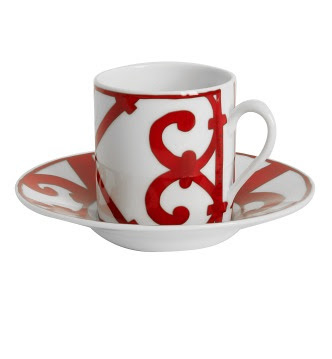 That Hermes cup is perty. Very perty! The Bluefly home section makes me drool.